We are in the middle of a complete shop redesign. If you are having any issues please submit a Parts Request with what part you would like to purchase. 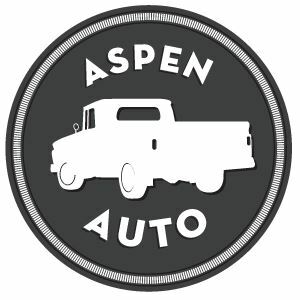 Welcome to Aspen Auto, your source for original 1960 to 1972 Chevy Pickup Truck Parts! We work to provide those hard to find, original, used parts for an authentic Chevrolet restoration. Are you tired of spending all day on Craigslist and Ebay to locate that perfect hood for your 1972 Chevy Pickup Truck, or those rust-free fenders for your 1966 Chevy Truck? We have you covered! While every other classic Chevy truck parts website out there tries to sell you inferior reproduction parts, we work to find those original, OEM, rust free, Arizona parts for you to transform that rusty truck in your backyard into a beautiful work of art that looks like it just came off the assembly line. Don't settle for cheap aftermarket parts and restore your Chevrolet pickup truck the way they were intended. We have over 10 years of experience selling Chevrolet parts to enthusiasts around the country. Through these years we have developed a reputation with 100% positive feedback by personalizing service, shipping quickly, and going the extra mile for our customers. Although we specialize in 1960 to 1972 Chevy Pickup Trucks, we would be pleased to assist you with locating parts for any classic automobile restoration.